The news that Facebook has now changed its promotions guidelines to say that the ‘like’ function can not be used for voting in promotions might be a bit of a blow for some digital marketers that have relied on this for their Facebook campaigns…but hopefully it will force us to use the platform more creatively for social media campaigns. Read the full story about the new regulations here. 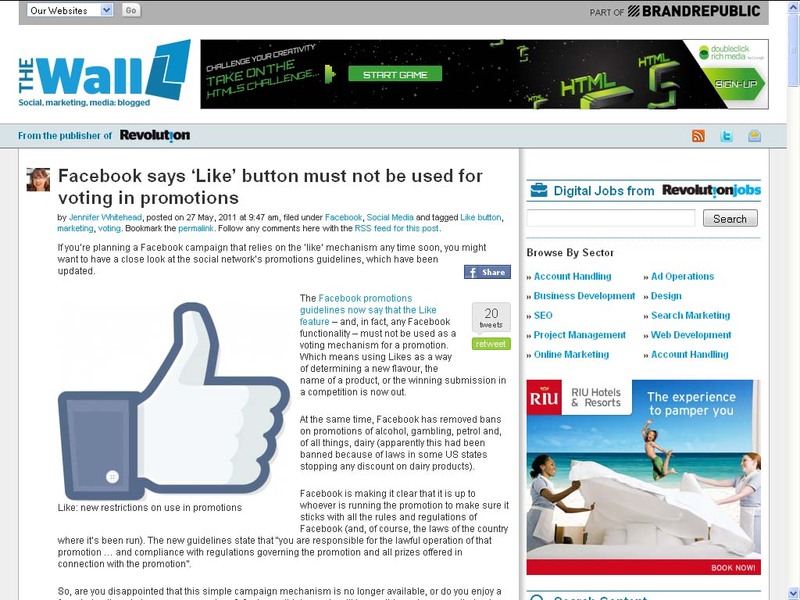 Posted by DigitalPrefect in Interesting Articles, Random Thoughts, Social Media - Facebook/Twitter etc.